The compact and affordable iO makes short work of immersive video and live-streaming, thanks to an effortless setup process and a focus on simplicity. As the still nascent 360-degree video segment continues to figure itself out, 360 cameras tend to lean strongly toward one of two extremes: The high-end models are often large, expensive, and complicated, while those made to be more approachable all too often come across as gimmicks. The new, $249 Giroptic iO is perhaps the most approachable 360 cam currently available – at least, for iOS users – yet it manages to avoid crossing over into gimmick territory by focusing on its key strengths of portability, ease of use, and effortless live-streaming. 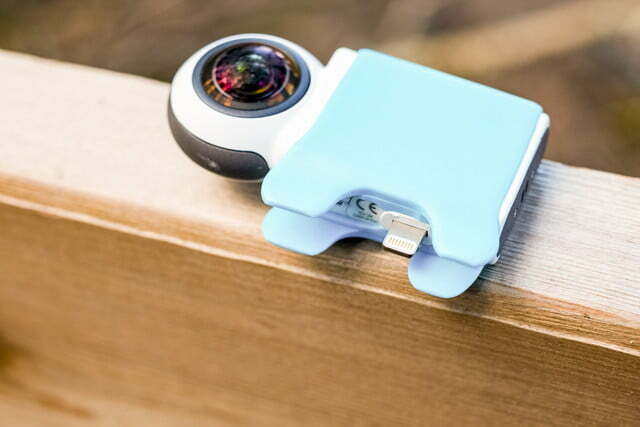 The first thing you will notice about the Giroptic iO is how small it is. 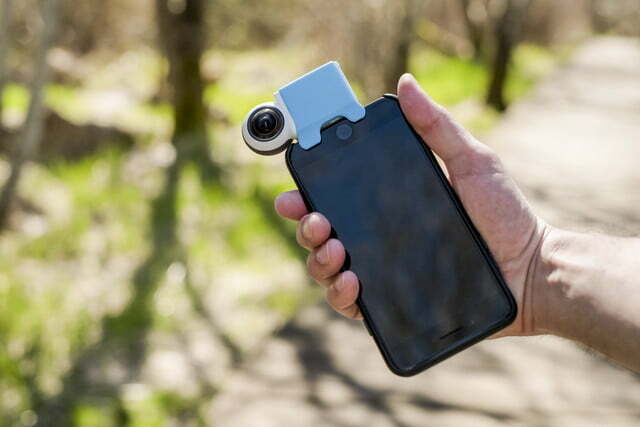 It would easily fit in just about any pocket, although you’ll want to be mindful of the bulbous dual-lens head that extends beyond the width of the camera body (and your phone). 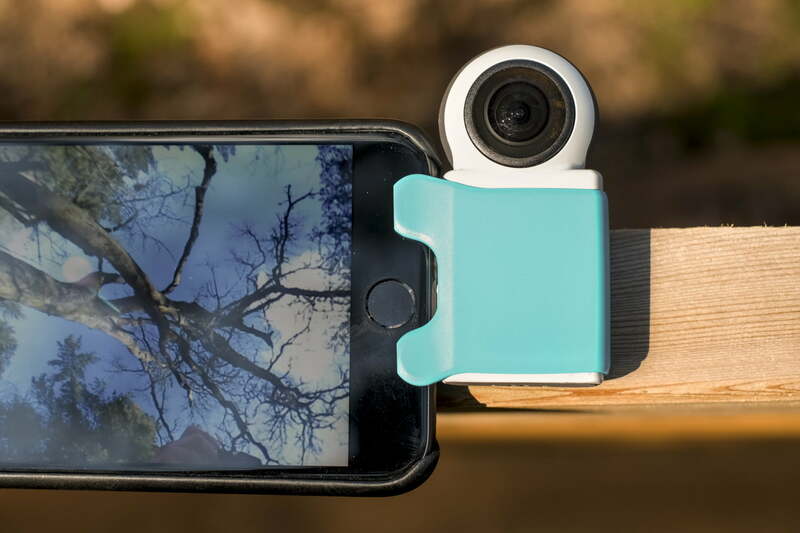 Giroptic includes a hard plastic case to keep the iO protected when it’s not attached to your phone, and we recommend using it. A plastic sleeve with “legs” helps secure the device to your phone and allows it to stand on edge with the lens elevated when not connected. This is the 360 cam we’ve been waiting for. Beyond the adorable exterior, what impressed us most was the setup process: Essentially, there isn’t one. Taking a cue from the DXO One, the iO has a Lightning connector built into it. It plugs directly into an iPhone or iPad without any Wi-Fi or Bluetooth setup required. Users will first need to download the free iO 360 app, but after that, it’s plug-and-play. When you connect the camera, it even launches the app automatically. The first time we plugged in the iO, we were immediately prompted to download the latest firmware update. We didn’t need to enter an email address or register the device; with one tap on the screen, it just worked. Within a minute or two, the iO had its new firmware and we were ready to go. On the iPhone 7 Plus that served as our test machine, performance was very snappy. Dragging across the screen to pan and tilt within the spherical video field is smooth and responsive. There is a brief delay (around a quarter of a second) between reality and what’s shown on the screen, but considering this is 360-degree video being stitched in real time, we can’t complain. Giroptic says the iO is compatible with iOS devices as far back as the iPhone 5S and iPad Mini 2, but we would expect performance to take a hit on those older devices. If there’s one downside of the iO’s hardwired connection it’s that you won’t be able to plug anything else into your phone while you’re using it. That means no charging and, for iPhone 7 series owners, no headphone monitoring. In practice, we don’t expect this to be a huge issue given the iO’s intended use cases, but it’s something to be aware of. One of the best consumer applications of immersive video tech that we’ve yet seen. Users who put their iPhones inside a case may encounter an issue with fit. Some cases may be too thick, making it impossible to connect the accessory to the Lightning port – something we had to deal with when using the DXO One. However, using Apple’s low-profile leather case with our iPhone 7 Plus, we didn’t have this problem; we can’t say this will be – excuse the pun –the case with every user. The iO forms a symbiotic relationship with your iPhone, but fortunately it won’t leech your phone’s power. Instead, a 915mAh internal battery powers the camera for around an hour and twenty minutes, based on our tests (the camera stopped responding after it hit 21-percent battery remaining). That’s not a ton of time, but it is respectable given the ultra compact size of the device. Thanks to a Micro USB port nestled beside the Lightning connector, you can also recharge it on the go with a USB battery brick. In what may be a cause of concern for some, we found the iO to get very hot after extended periods of use. After 30 minutes, it was hot enough that we didn’t want to touch it for too long – it wasn’t hot enough to burn, but it certainly wasn’t comfortable. And while it’s not powered by your phone, keep in mind that your phone’s battery will still drain considerably faster when using the iO for long stretches of time, just as it would if you were using the native camera app. The iO is all about sharing experiences as they happen, with a level of immersion that’s only possible with 360-degree video. 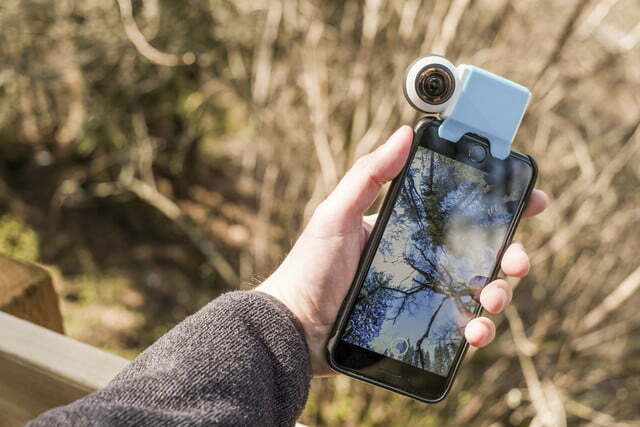 While it will shoot 360 video and stills straight to your phone’s camera roll (complete with “little planet” and virtual reality modes), its real strength lies in being able to live-stream to Facebook, YouTube, and Twitter/Periscope. (Power users can even set it up for a custom streaming server). Starting a live stream is about as basic as it gets. At the bottom of the preview window, just above the record start/stop button, are three options: Photo, Video, and Live. Swipe left for Photo mode or right for Live mode. You can even go live over 4G, although you’ll want to make sure you have a good connection. Working in an area of poor service, our test stream to Facebook was cut short, and the few seconds that did make it through were pixelated almost beyond recognition. With a strong connection, however, the iO is an excellent camera for live-streaming, perfectly suited to cover anything from a garage band practice to a newsworthy event like a protest or parade. The camera’s unobtrusive size also means you won’t draw as much attention to yourself in public, unlike that guy running around with a Nokia Ozo. The iO forms a symbiotic relationship with your iPhone. That said, this shouldn’t be a huge issue. The iO’s bread and butter is live-streaming, where video quality is limited by numerous factors (such as the aforementioned signal strength). Even the new Gear 360 reverts to Full HD when live-streaming, not the full 4K that it’s capable of. Furthermore, when viewing on a phone, we found the sharpness to be just fine. It does get a bit soft around the stitching line, but for a panda-shaped camera that fits in the palm of your hand, it really does quite well. 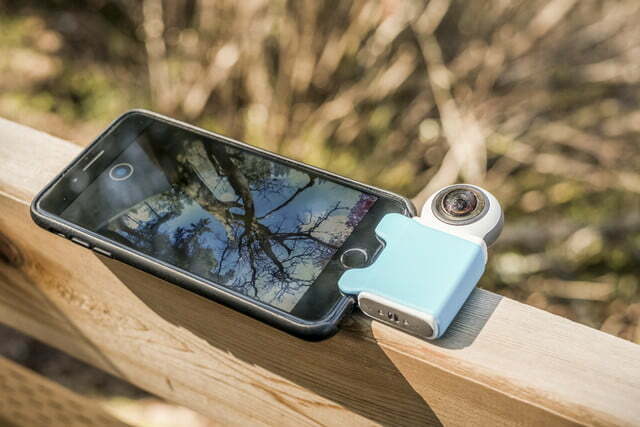 Giroptic offers a one-year limited warranty on the iO. 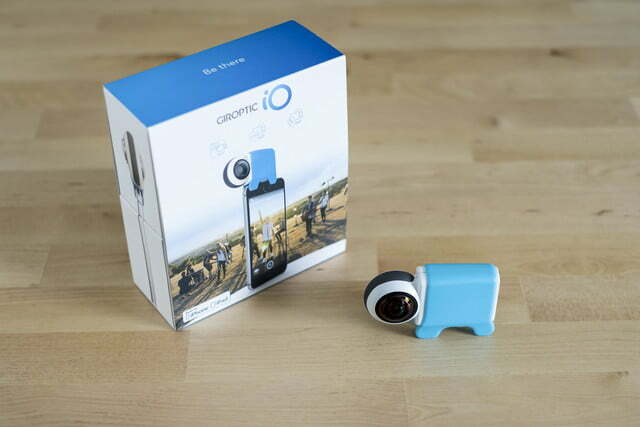 The Giroptic iO may just be the 360 cam we’ve been waiting for. It is compact, ridiculously easy to use, and affordable at just $249. 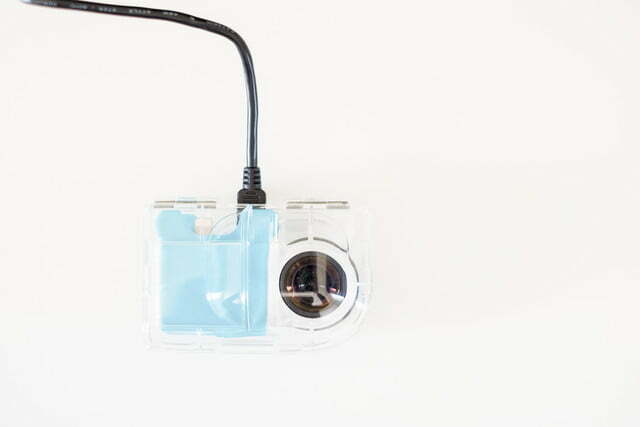 Giroptic has nailed the formula first put into use by DXO of hardwiring an accessory camera straight into the Lightning port. 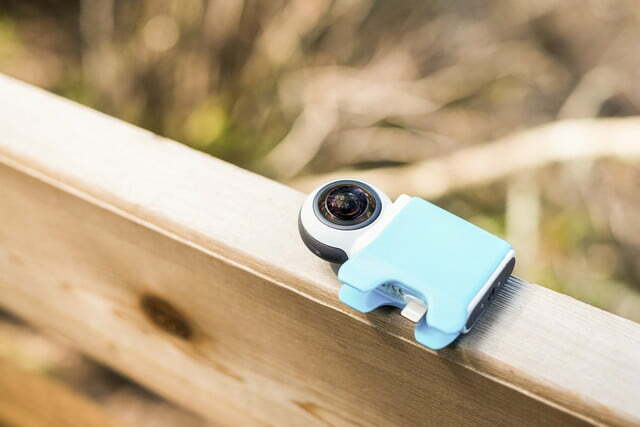 The seamless integration between camera, phone, and social media has removed all the pain points of sharing immersive experiences, as we’ve encountered with standalone models – including Giroptic’s first camera, the 360cam. 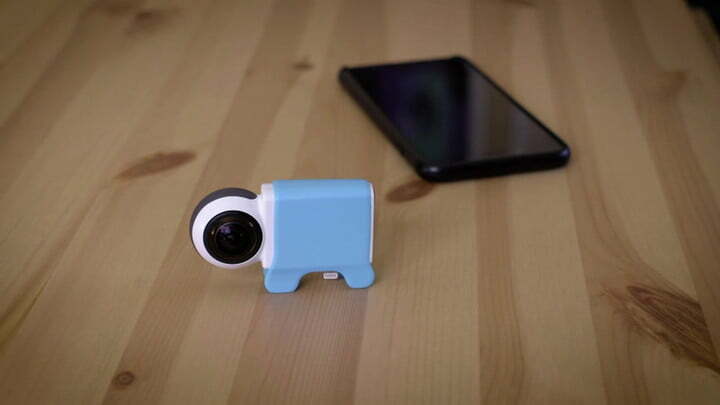 There are 360 cameras out there with better resolution, bigger batteries, and more features, but none that have repeatedly put a smile on our faces the way the iO has. Maybe that’s just the panda thing, or maybe there really is something to Giroptic’s approach of choosing a few key elements and building a refined product around them. First off, if you’re not an iOS user, then you are currently out of luck with the iO. However, based on what the company has said at CES, an Android version of the iO may be coming later this year. We’re also eagerly waiting to review the Samsung Gear 360 (the new one), which will support iOS in addition to Android phones this time around. However, we doubt anything will match the iO’s powerful combination of portability, simplicity, and affordability – there’s nothing currently on the market like it. Our biggest concern is the battery, which is not user replaceable. We’re not sure how many charge cycles it will handle, but this could put a limit on the device’s long-term survivability. Over time, there’s also the chance that the lenses could get scratched. Again, the product feels well made, but its portability gives it an increased chance of living a more rough-and-tumble lifestyle. If you have an iPhone or iPad and at least a passing interest in 360 video or live streaming, then absolutely. The Giroptic iO makes 360 video production effortless, affordable, and, perhaps most importantly, fun. Simply put, it is one of the best consumer applications of immersive video tech that we’ve yet seen. There will be competition, but the iO can hold its own.